Just a nice little story for the weekend. 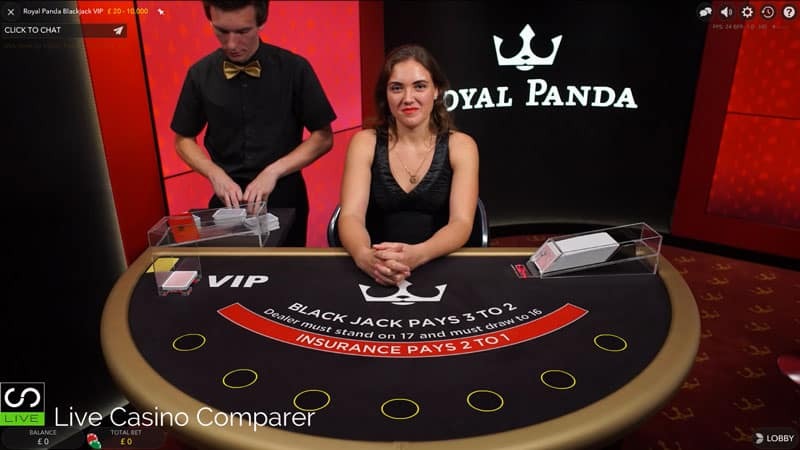 One lucky UK Player “Roger”, has won €122,315 playing at Royal Pandas Live Blackjack table. 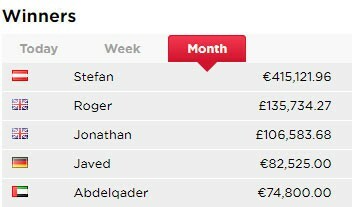 It seems from the leaderboards on the Royal Panda site that Roger isn’t the only lucky winner this month.! I’ve no idea how Roger managed to amass those sorts of winnings without betting really big stakes or getting lucky and hitting one of the side bets. 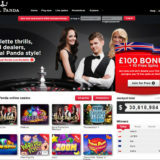 The Royal Panda Live Casino solution is provided by Evolution Gaming. 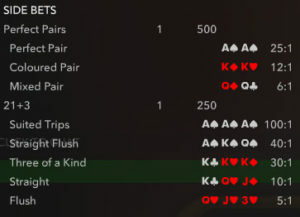 As well as having access to all of Evolutions shared tables, Royal Panda has it’s own dedicated tables for Blackjack and Roulette. 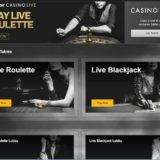 The two Blackjack tables have stakes that start as low as £5 a hand, up to £10,000 a hand on the VIP table. 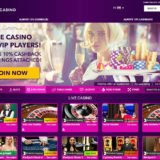 Both tables has the full range of Blackjack side bets, 21+3, Bet Behind and Perfect Pairs.